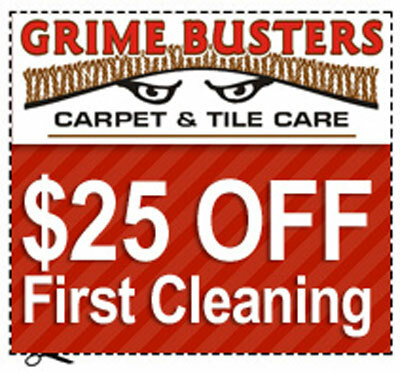 At Grime Busters we use one of the very best method of carpet cleaning. This process is called Hot Water Extraction or Steam Cleaning. You’ve probably heard of this process of cleaning.” While this method can be done using an at-home machine, you will not be given the same spotless ending result as you would if the job were being performed by a professional carpet cleaning company. This is because the carpet cleaning machines for the general consumer, are simply not capable of producing the cleaning power of a truck mount steam machine. That being said, you are probably wondering what our complete carpet cleaning method entails. First, we speak to you the customer and find out your concerns. Which then gives us both the opportunity to make this the best experience as possible. Second, thing we do is a pre-inspection of all the areas to be cleaned. During this inspection, we check for any tough stains, problem areas, or noticeable spots that warrant a pre-treating. The third step we do is to apply cleaning solutions to the carpet, which helps to loosen and dissolve all of the embedded soils. This ensures that you have a truly deep clean carpet. Our fourth step of the carpet cleaning is to steam clean with a fresh water rinse. During this rinse, all of the soils (as well as the cleaning detergents we applied) are removed. There is no residue left behind that could attract even more dirt later on, or makes your carpet seem dirtier than when we began the cleaning process. Many home machines will not thoroughly rinse out the shampoo which can leave a sticky film left behind, which covering the carpet fibers allowing new dirt to cling to it. The carpet will look great at first, but in a few weeks it darkens do to soaps left in the carpet fibers. The final step is to vacuum out all of the fresh water. 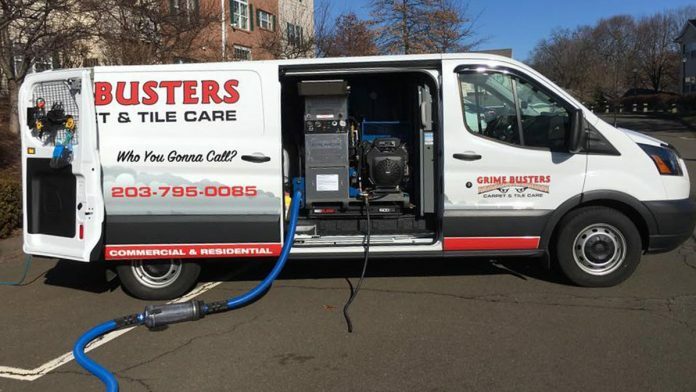 With our powerful truck-mounted equipment which produces enough vacuum power to remove almost all of the moisture contained within your carpet fibers. Instead of leaving your carpets soaking wet, your carpets will only be slightly damp with a much faster drying time. For a completely clean, deep, no-residue carpet cleaning, give us a call today at 203-795-0085. We’ll be happy to provide you with a free quote and tell you about our carpet cleaning services and the specials we are offering. Our friendly staff is avaliable 24/7 to help you. © 2018 · GRIME BUSTERS CARPET & TILE CARE LLC, ALL RIGHTS RESERVED.